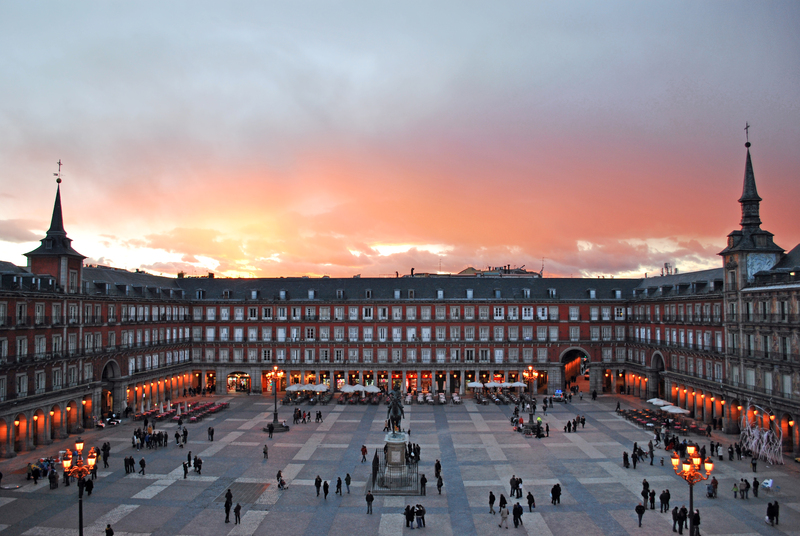 Plaza Mayor is located in the heart of Madrid, being an open space that measures 129 meters in length and 94 meters in width. The beautifully decorated buildings surrounding the market give you the possibility to discover artistic elements of different eras, especially when you think that the square was built around 1600. The middle of the square is dominated by a statue of King Philip III, while the most important building that you will find here is the “Bakery House” – this building now serves multiple functions, both cultural and administrative. Various events take place in Plaza Mayor, such as public celebrations, the most notable one being the celebration of San Isidro, who is the patron of Madrid. There are nine entryways in Plaza Mayor and whatever your initial direction would be, you can surely find its location. All the main boulevards get close to the Plaza at some point so you can easily take a turn and arrive in this huge open square.